We’re old fans of Dandelion earth-friendly goods. Not only do they carry the sweetest collection of organic rattles and teethers but they offer cute organic holiday goodies and have even helped fund breast cancer research with their adorable pink collection. Now, Dandelion just got a little more lovable, with their new eco-friendly and super cuddly collection of handmade crocheted rattles and rattle balls. This new and unique collection of handmade rattles feature many lovable, and brightly colored characters and objects that your young child will be able to relate to, like a wise ol’ owl, a smiling froggy, a busy little bee, a charming fairy wand and more. 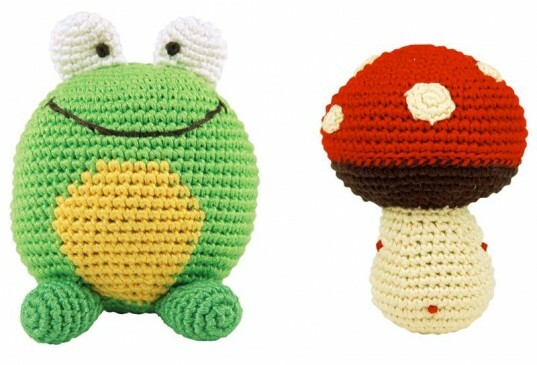 Each soft, huggable rattle is handcrafted by women in Shanghai, China, with pesticide-free, silky bamboo fibers. Each toy is also rigorously tested for safety and machine washable. 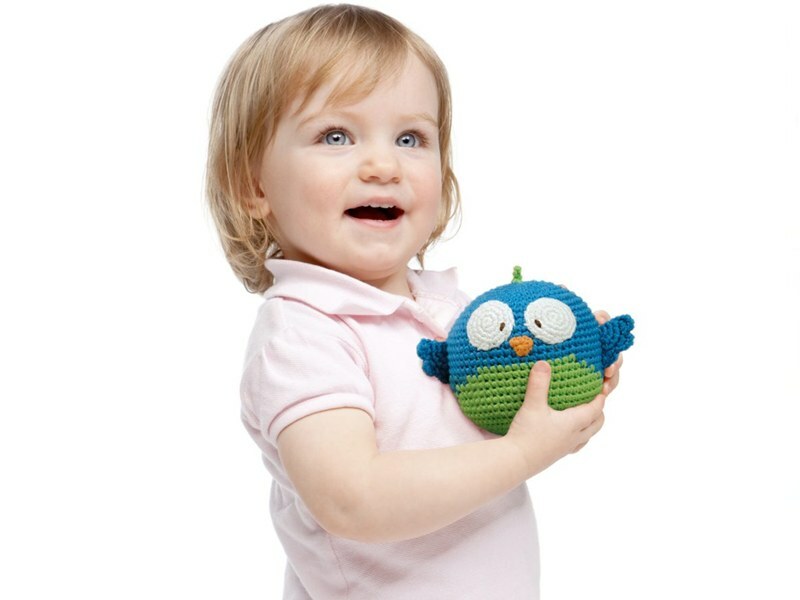 More than just a simple rattle, your child can safely use this toy to nibble on or use one of the character rattles as an impromptu rolling ball. Unbelievably, these pesticide-free toys are 100% affordable. So affordable in fact, that we suggest you choose two. Face it, it’ll be hard to choose just one favorite anyhow.